I’ve got mixed feelings about this soup. I want to like it more than I did. But the recipe I used called for way too much barley. It was fine the first day, straight from the pot. But as it sat in my refrigerator, the barley absorbed nearly all the liquid. I also didn’t like the texture of the dried mushrooms I used. And I swear they had an almost tobacco like flavor. Wow, when I think about it that way, I didn’t really like much about this soup at all. The thing is that I have a Hearty Mushroom Soup that I know I like way better. So why am I even bothering to tell you about this one? Honestly, the only reason for this post is the fact that I really like the photo. Note to self: The next time you have a hankering for mushroom barley soup, take the recipe you know you like, cook up 1/4 cup of barley separately, and add it after the soup has cooked and been blitzed. You’ll be much happier. Thanks Yuri. I wish it had tasted as good as it looked in that photo. Yeah, it does look pretty spectacular in the photo. Alas! I’m not sure how I feel about barley. But that is one beautiful photo! It is a lovely photo! 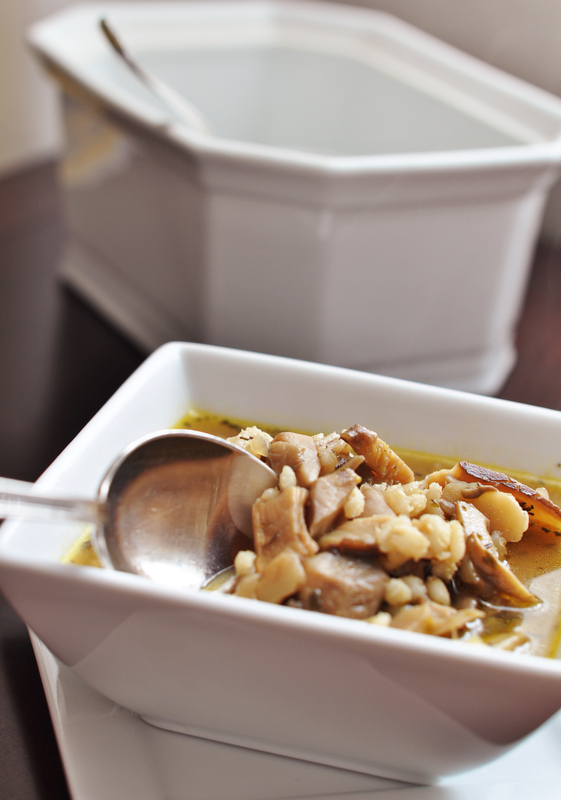 I wonder if that recipe for mushroom barley soup would be better with fresh mushrooms? But then again, if you have a recipe you like, I think you’re right to stick with that. Jen, I used a combination of fresh and dried mushrooms. But the dried just had this really off flavor. Lesson learned. I need to stick to the one I know works and just add to it.